Flu activity continues to decline, according to the most recent Centers for Disease Control and Prevention (CDC) FluView report, which shows that influenza-like-illness in the United States has fallen below baseline for the second consecutive week since the middle of November. Other key indicators are declining as well, signaling that the 2014-15 flu season is drawing to a close, according to the CDC. During the 2014-2015 season, influenza activity started early and had a relatively long duration. Influenza-like-illness (ILI) went above baseline the week ending November 22 and remained elevated for 20 consecutive weeks, making this season slightly longer than average. For the past 13 seasons, influenza-like-illness has been at or above baseline for 13 weeks on average, with a range of 1 week to 19 weeks. The ILI curve for this season is most similar to that from the 2012-2013 season, which is the season during which ILI activity remained above baseline for 19 weeks. This season was severe for people 65 and older especially. While hospitalization rates are almost always highest among people 65 and older, this season CDC recorded the highest hospitalization rates among this age group since this type of record-keeping began in 2005. People 65 and older accounted for more than 60 percent of all reported hospitalizations and from September 28 through April 18, an estimated 313.8 per 100,000 people in the age group were hospitalized from flu. The next highest recorded hospitalization rate in this age group (182.3 per 100,000) occurred during the 2012-2013 season. The extremely high hospitalization rate in older adults elevated the overall hospitalization rate for all age groups in the United States to 63.6 per 100,000 people. Hospitalization rates for other age groups were either similar to or lower than what has been seen previously. For example, the age group normally next-most affected by severe illness resulting in hospitalization is children 0-4 years of age. While children in that age group did have the second-highest hospitalization rate this season, that rate through the week ending April 18 (55.4 per 100,000) is lower than what was seen during the same week in 2012-2013 (65.9 per 100,000). During most of the season influenza A (H3N2) viruses predominated however the country experienced a second wave of influenza B flu activity since early March. Second waves of influenza B activity are common. Seasons during which influenza A (H3N2) viruses predominate typically have higher rates of hospitalizations and more deaths, particularly among older people and children. The last season when H3N2 viruses predominated was in 2012-2013. Flu-related deaths this season were within expected boundaries for an H3N2 dominant season. CDC monitors flu-related deaths through the 122 Cities Mortality Reporting System, which reports the total number of death certificates processed and the number of those for which pneumonia or influenza is listed as the underlying or contributing cause of death in 122 U.S. cities. Pneumonia and influenza diagnoses (P&I) first rose above the epidemic threshold the week ending January 3, 2015 and peaked the week ending January 17, 2015 at 9.3%. This is comparable to recorded percentages for past severe seasons, including the 2003-04 season when P&I reached 10.4% and the 2012-13 flu season when P&I peaked at 9.9%. The same is true of pediatric deaths. CDC reported an additional three pediatric deaths last week for a total of 128 to date for the 2014-15 season. Since influenza-associated pediatric mortality became a nationally notifiable disease in 2004, the total number of influenza-associated pediatric deaths has ranged from 37 to 171 per season; excluding the 2009 pandemic, when 358 pediatric deaths were reported to CDC during April 15, 2009, through October 2, 2010. During 2012-2013, 171 flu-associated pediatric deaths were reported. The number of pediatric deaths this season is likely to climb further; reporting of pediatric deaths can be delayed. Pediatric deaths are the only nationally notifiable outcome for seasonal influenza. 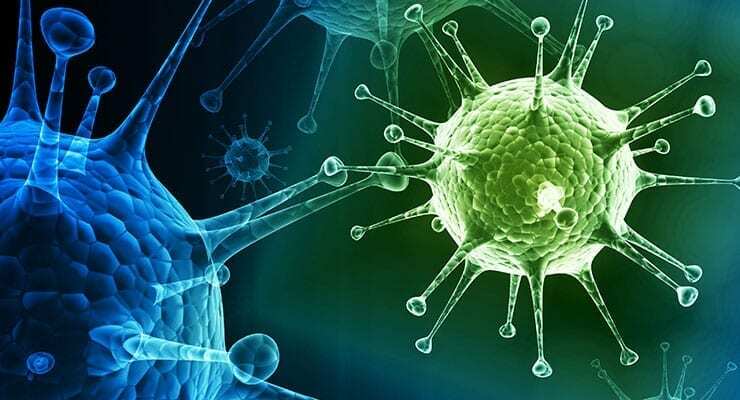 A notable characteristic of the 2014–15 influenza season is that antigenic and genetic characterization of influenza-positive respiratory specimens submitted to CDC indicated that most of the circulating influenza A (H3N2) viruses different from the H3N2 vaccine virus. The predominance of drifted influenza A (H3N2) viruses likely resulted in reduced vaccine effectiveness observed against H3N2 viruses this season. Interim estimates showed the 2014-15 flu vaccine reduced the risk of flu-associated medical visits by 18% from influenza A (H3N2) viruses. However, vaccine effectiveness against influenza B viruses was 45% overall. The 18% vaccine effectiveness observed against H3N2 viruses is relatively low while the 45% VE observed against influenza B viruses is similar to VE observed when vaccine viruses and circulating viruses are well-matched. When vaccine effectiveness against all influenza viruses was combined, the overall vaccine effectiveness estimate was 19%. This means the flu vaccine reduced a person’s risk of having to seek medical care at a doctor’s office for flu illness by 19%. Final vaccine effectiveness estimates will be published at the conclusion of the season. Vaccine effectiveness results this season underscore the importance of having flu vaccines that are well-matched to circulating flu viruses, as well as just how challenging this can be to achieve with a virus that is constantly changing. This season’s disappointing vaccine effectiveness rate also underscores the importance of ongoing efforts to improve influenza vaccine technology. In the face of reduced vaccine effectiveness this season, CDC placed additional emphasis on the other weapons available in the arsenal against influenza: everyday preventive actions and the appropriate use of influenza antiviral agents. Three FDA-approved influenza antiviral agents are recommended for use in the United States during the 2014-2015 influenza season: oseltamivir, zanamivir and peramivir. On December 19, 2014, the FDA approved peramivir (trade name Rapivab®), an intravenous antiviral drug, to treat uncomplicated influenza infection in adults age 18 and older.